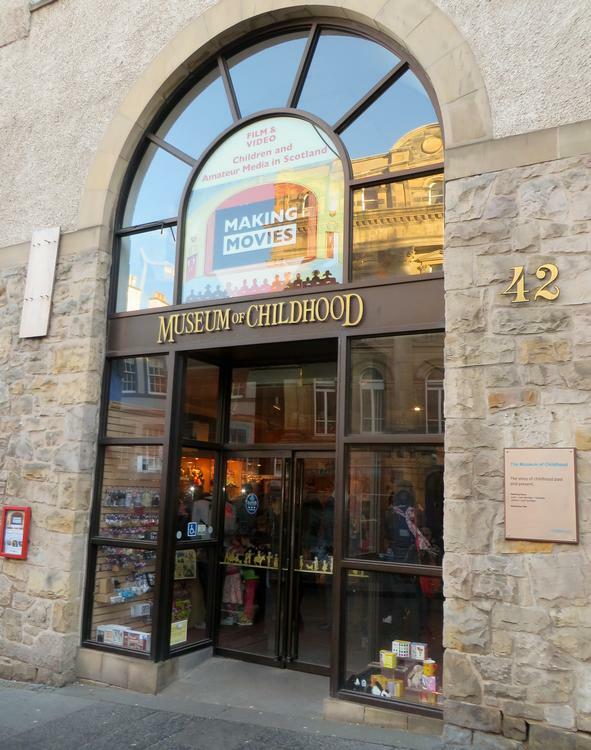 Situated on Edinburgh's Royal Mile, the Museum of Childhood offers an entertaining look at how childhood toys and activities, including education and work, have changed over the last three centuries. 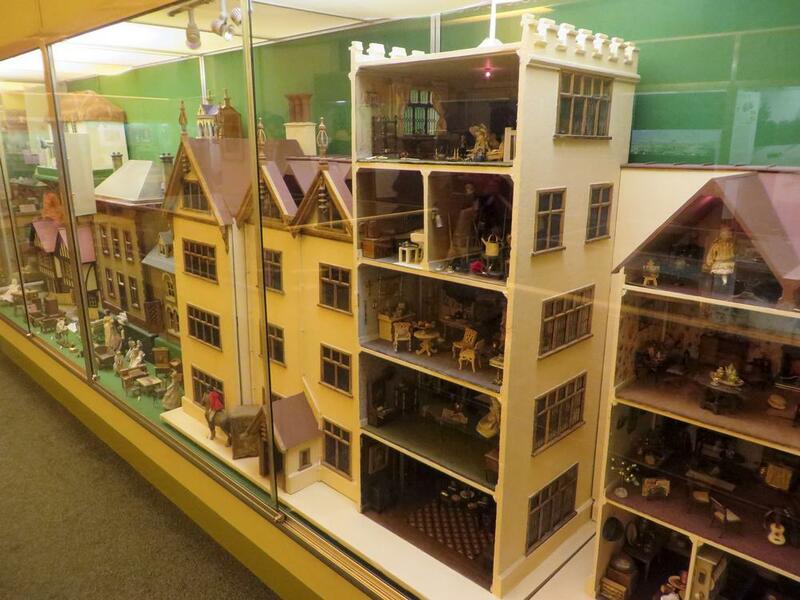 The museum is split into 5 galleries over several floors. 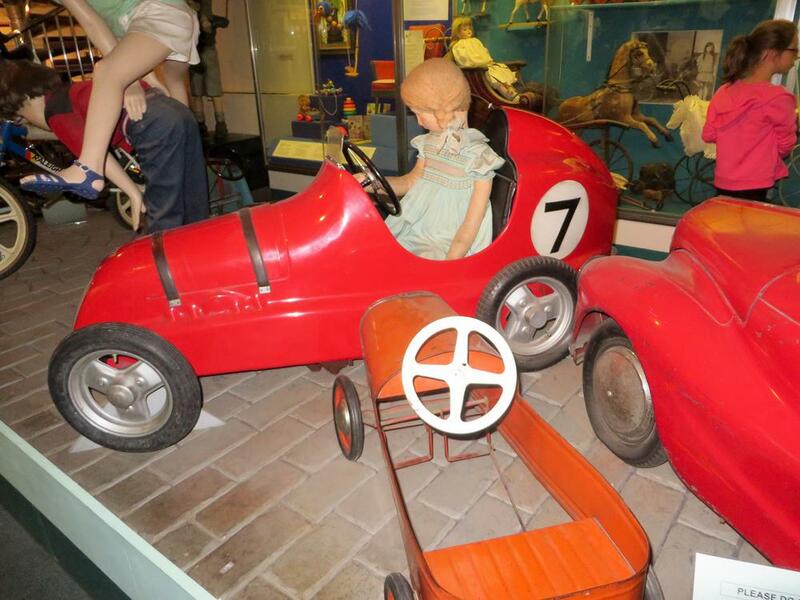 The Ground floor gallery has some good pedal cars and exhibits of toys (and some Victorian work clothes etc.) in cases. This area is quite cramped if the museum is busy, but things open out once you get upstairs to the other galleries. 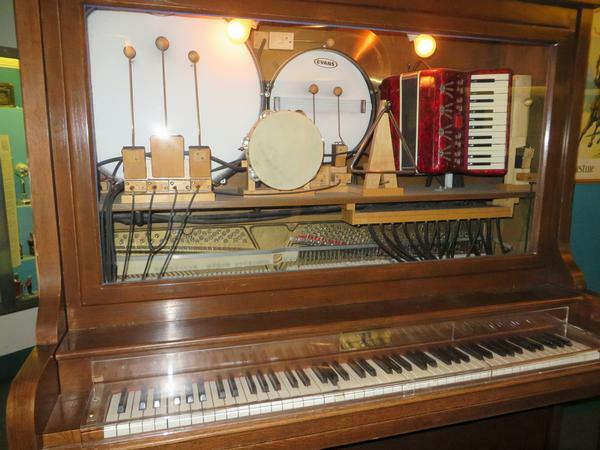 Look out for the Pianola which will play a tune if you put a coin in the slot. 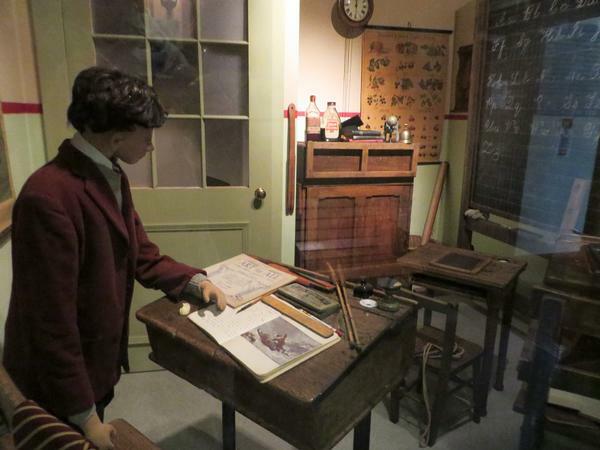 Upstairs in Gallery 2, there's a good selection of puppets on display, and a small puppet theatre kids can actually use - but only 2 puppets were provided which slightly limits their creative options. 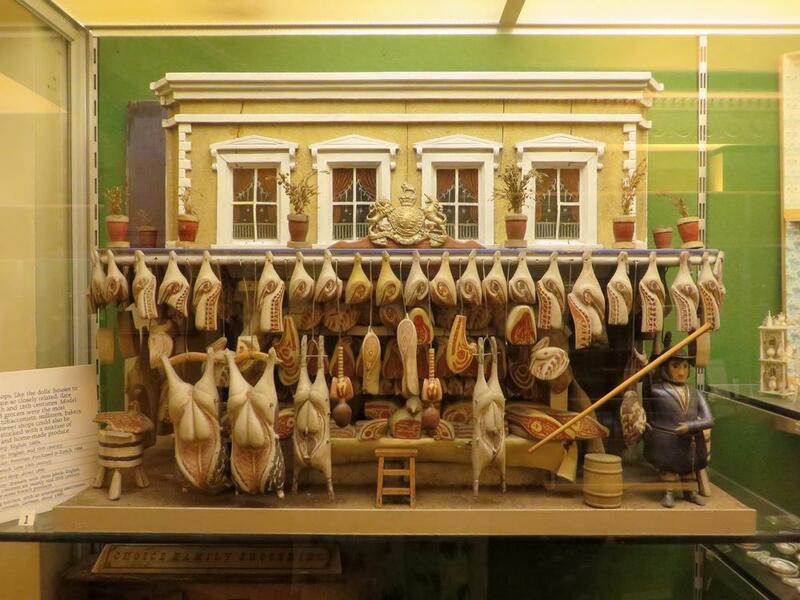 This gallery also has some lovely miniature shops and enormous dolls houses on display. 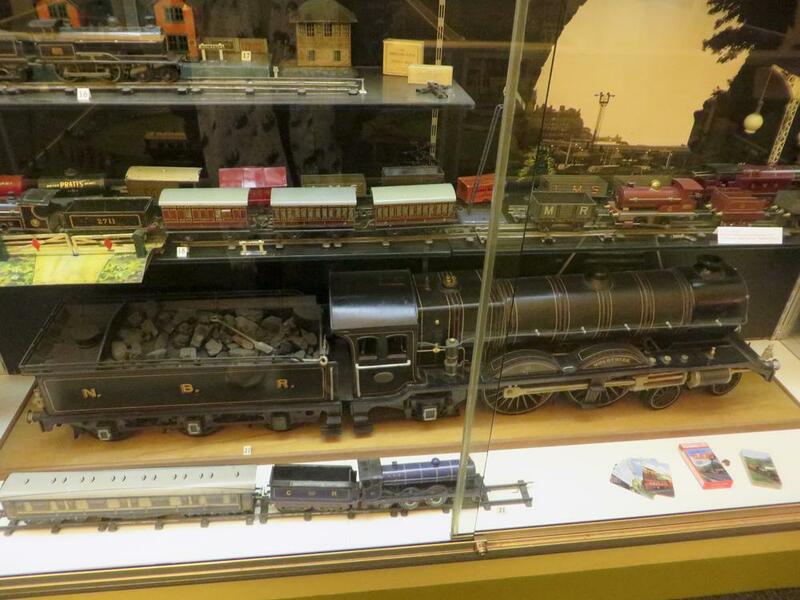 There's also a Large O Gauge model railway, with lots of model trains at different scales. A car park full of model cars, model aeroplanes, two miniature zoos and a circus scene complete the exhibits of toys on this level. At one end of this floor there is a section with a display of home movies and cine equipment, reflecting how parents have captured their offspring's childhood through the years. 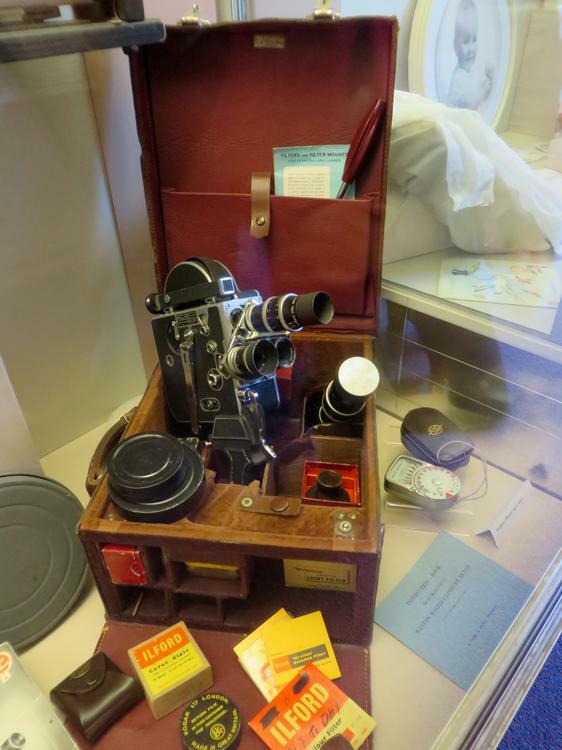 Also it shows how children are now starting to use video equipment as part of their education, and being involved in all aspects of making a film. There are also some films to watch - some old family home-movies, and some made as projects by children. Dolls and Teddy Bears Galore! 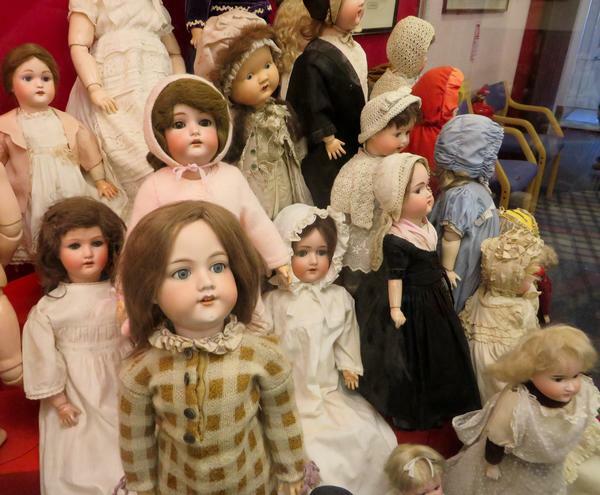 Gallery 3 has perhaps the largest collection of dolls you've ever seen. Most are beautiful, both in terms of their faces, and costumes - though there are a few strikingly plain examples too! 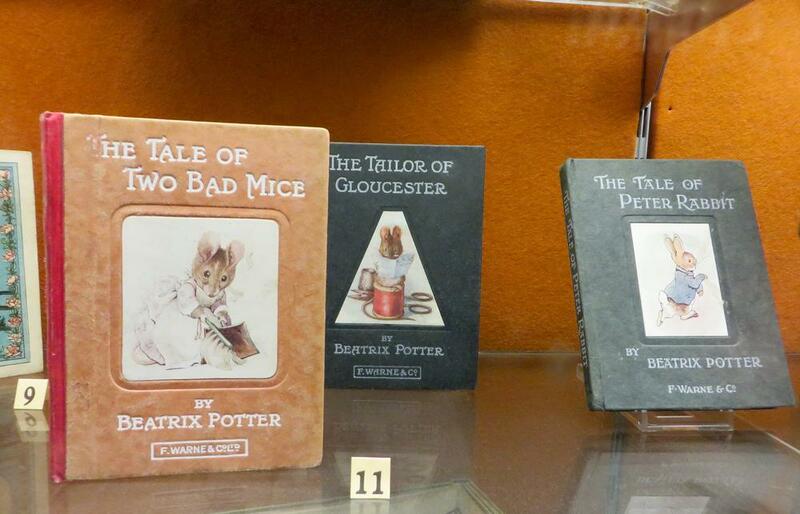 Controversially, there are a small number of Golliwogs in one of the cases. A notice explains why these have not been struck from the historical record, and offers contact details if you feel the need to comment or complain. 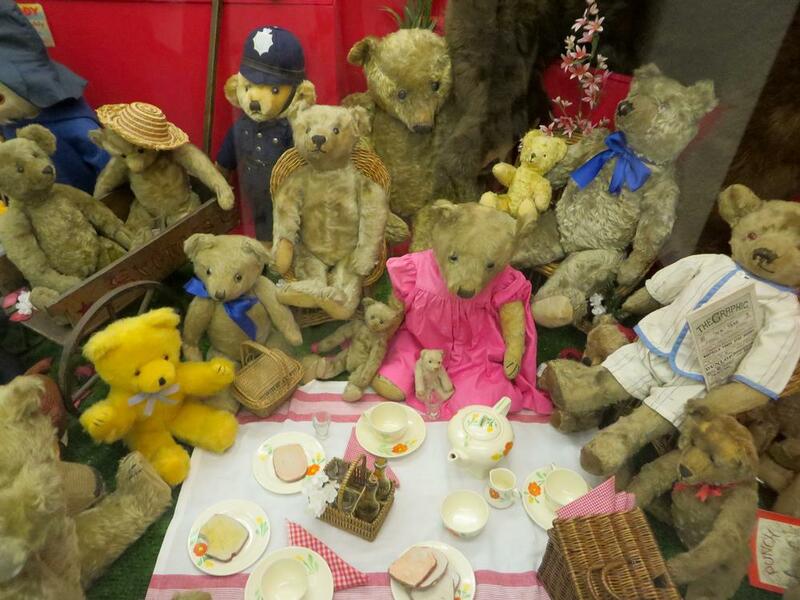 Less politically incorrect is the teddy bear's picnic display, with a good variety of bears of different ages enjoying their day out in the woods. Gallery 4 is a smaller space, focusing on games, construction toys, and a small display of books, including some first editions of Beatrix Potter's classic children's tales. Look out for the Big Wheel made from Meccano. Gallery 5 has some dioramas including a school room, Victorian street scene and a nursery complete with rocking horse. There's also a small dressing up area which is always popular with kids. On your way out, you'll pass through a small shop with a selection of toys and souvenirs. Modern visitors to the museum will notice that Boys and Girls have always been given different toys, and that gender differences were probably more marked in the past, with advertising proclaiming that a model railway is the perfect activity for boys and their fathers - a statement which would probably not be acceptable in the 21st century. 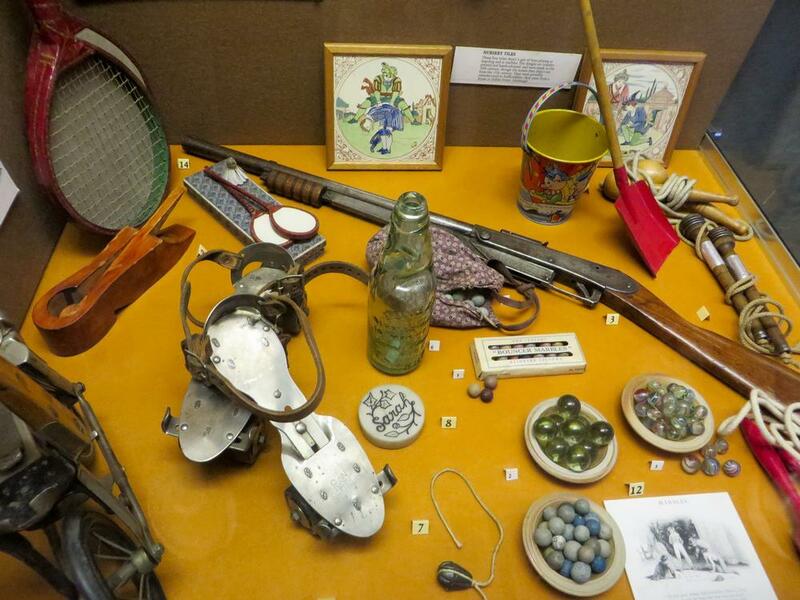 The museum is quite traditional - mainly displaying artefacts in glass cases, rather than a modern interactive style museum. 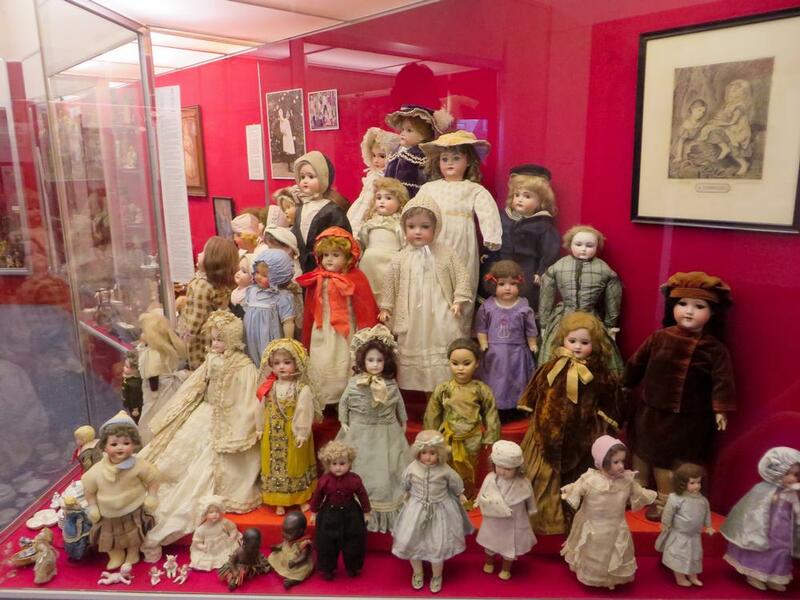 Nevertheless, it's an entertaining way to spend an hour or two in Edinburgh, (its free admission makes it great value) and adults and children alike will enjoy an insight into the lives and playtimes of children from a bygone age. The museum has toilets available in Gallery 4, and the first three galleries are wheelchair accessible (including a disabled toilet). There are stairs to galleries 4 and 5. There is not a cafe in the museum, but there are many restaurants and cafes nearby on the famous Royal Mile. (The shop closes 15 minutes earlier). By Train: The Closest Railway station is Edinburgh Waverley. By Bus: Lothian Bus No 6 from Hanover Street or The Mound. Get off at either Jeffrey Street or St Mary's Street, and turn up the Royal Mile towards Edinburgh Castle. 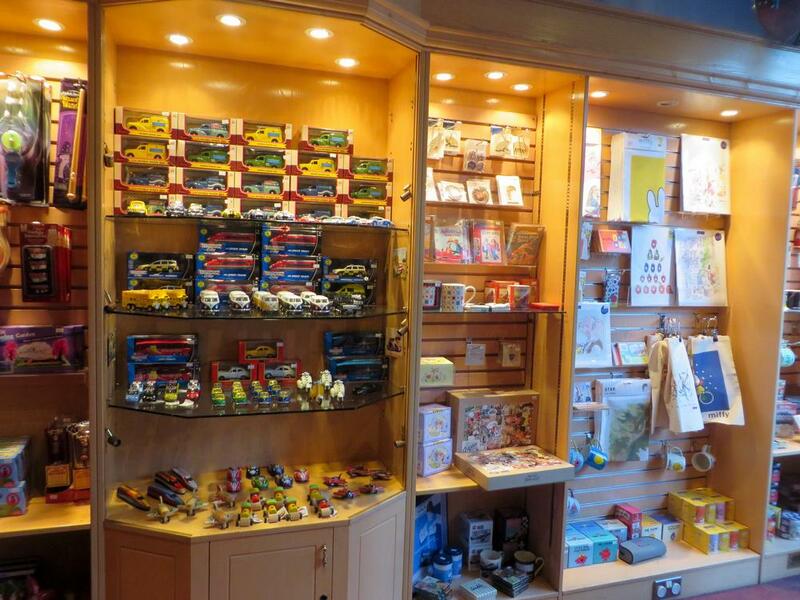 The No 35 bus goes up and down the Royal Mile, and there is a stop close to the Museum. There are many buses going down North Bridge which cross the Royal Mile.